Al Mohler remembers Dr. D. James Kennedy. 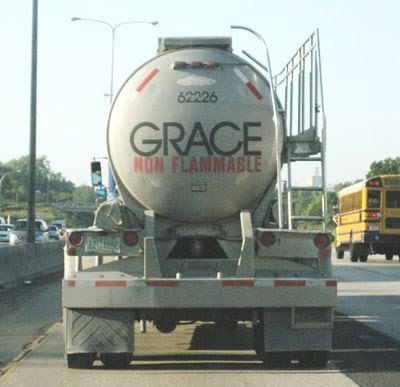 The Pyromaniacs set fire to emergent theology and raise an important issue regarding this movement that seeks to "redefine Scripture itself": If everyone has been wrong about the Bible for the last 2,000 years, "it makes you wonder not only why God wrote the Book, but why He made such a poor job of it." This Arminian once embraced a form of hyper-Calvinism, but ended up rejecting Calvinism altogether once he began "taking the simple statements found in Scripture at face value." This seems typical of those who reject Calvinism. When they are confronted with apparently conflicting passages (e.g., the Gospels vs. Romans), there is no attempt to reconcile them; they just pick the interpretation that makes them feel better. The Desiring God Blog has completed a four-part series on God's sovereignty over sin. The posts were comprised of excerpts from John Frame's book The Doctrine of God. Check them out: Part 1: Does God Author Sin?, Part 2: Does God Cause Sin?, Part 3: Does God Permit Sin?, Part 4: The Author-Story Model. In addition to rejecting the "bogus doctrine" of predestination, this disgruntled blogger would like you to also reject the "personhood and diety (sic) of the Holy Spirit." Naturally, there isn't any appeal to scripture. That would undermine his personal vendetta against Matt Slick and the Christian Apologetics & Research Ministry. Michael Lewis addresses the question of "human responsibility in light of the sovereignty of God and his electing purpose." Tominthebox News Network reports that Pope Benedict XVI has declared that "Protestant blogs are not 'real' blogs" -- a direct attack on the Reformed doctrine of sola blogda. Remember Roger Olson's rant against the Calvinist response (John Piper's in particular) to the I-35W bridge collapse in Minneapolis? Here is one blogger's observation regarding Olson's denial of God's sovereignty: "It is only when God does something that goes against our own expectations that we start to hear suggestions that God couldn't possibly be responsible for those things." To this blogger, "the idea of monergism vs. synergism isn't whether or not God is sovereign, but whether or not God is, at all times, exercising complete control over every minute detail of human existence." He says he is "leaning toward monergism," but admits that he loves Roger Olson and is "intrigued by" and "sympathetic to" universalism. A former Arminian talks about his "conversion to the doctrines of grace."